Q.U.B.E. – the director’s cut is a fun little puzzle game for PS4/Xbox One owner who never had the opportunity to play Portal on their console. The original Q.U.B.E. came out about 3.5 years ago for PC owners, and was immediately compared to the two Portal games – the second of which had come out half a year earlier. The comparison wasn’t surprising, because Q.U.B.E. also sports a first person view and requires you to solve puzzles using a combination of blocks and physics. The puzzles are fun, at times require creative solutions and thus Q.U.B.E. quickly became liked by those who had played Portal before. 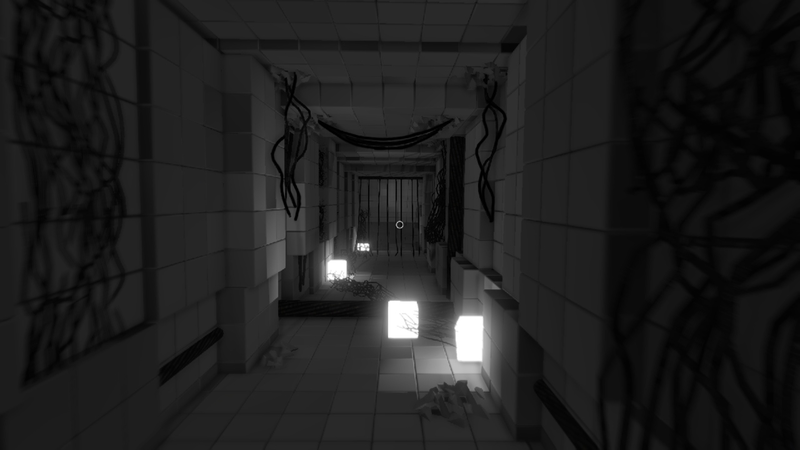 Q.U.B.E.’s problem wasn’t its similarity to Portal 1 and 2, it was that it came after those games. When comparing the two, gamers would often find that Q.U.B.E. was lacking in story immersion and development and that the game didn’t feel as polished as Valve’s genre-defining original. This was later somewhat rectified with the release of Q.U.B.E. – the director’s cut, which added story elements into the mix and made for a more complete gameplay experience with more to drive you forward than just the puzzles. Now it’s 2015, and Q.U.B.E. has come to PS3, PS4 and Xbox One in its director’s cut edition. There’s not much to report in terms of the game content, because it’s exactly the same game as before, but the playing field is slightly different. PS4 and Xbox One owners have never had the opportunity to play Portal on their (current) console, and because of this, the playing field is slightly different. If you’re a PS4/Xbox One owner and you’ve always been intrigued by Portal, then this new Q.U.B.E. release is an absolute steal for you at a bargain price. In its director’s cut form, Q.U.B.E. is well worth checking out for puzzle fans. It’s on the short side and can be completed in two to three hours, but there are additional levels for speedruns that help extend the experience.